Vulcan’s Bearing Training Bar is a type of barbell by Vulcan that replaces bushings with bearings. This bar is very economical for starters as well as amateurs who think that bearing bar is better and quite affordable than the bushing bar. Though purchasing a bearing bar is not really recommended for beginners but if you have an economical point of view then buying them isn’t really bad. 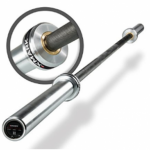 With a pleasant rotation of whip along with more than average PSI rating, this barbell is a great value of money. The sleeve rotation is just like a bushing bar and with moderate knurling it allows you to do CrossFit and strength training barbell. 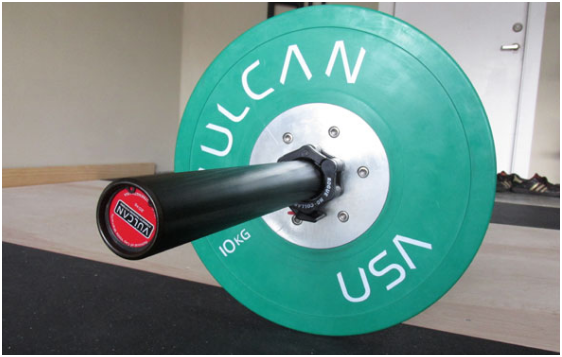 The Vulcan Training Bearing Bar provides the same specification and feel along with increased speed of sleeves especially for those who lift heavy. With all such features and good bearings, the price of Vulcan Training Bearing Bar is a bit more than Vulcan’s previous bushing barbells. The Vulcan Professional Needle Bearing Olympic Bar is an economical bar because needle bearing bars are comparatively expensive than bushing bars. Along with needle bearing, it comes with 190K PSI tensile strength, eight speed bearings and a lifetime warranty. The movement of the sleeves isfast and smooth which makes this package a pretty good one. The spin of the bar is exceptionally smooth and less noisy, both with and without plates. Within the sleeves, the rotation of shaft is smoothas well. Though the longevity of spin is longer once it startsspinning with high speed which is considered both good and bad with respect to the lifter. Though nothing is wrong with it, but if you are working with short sets, average weight bearing bars are not recommended because of the extra spin. In case you are an experienced weight lifter, the bearing bar will fit tremendously on your wrist and won’t slow down your movement like bushing bars actually do. The shaft is same as that of Vulcan’s other versions, which is 190,000 PSI. The 190K PSI is a very standard and respectable number in Olympic bars because it provides both, durability and elasticity in the barbell. Along with the tensile strength, there are also some featuresthat are common in Vulcan’s needle bearing barbell.The common features includethe diameter whichis 28.5mm, dual markings and black zinc finish. 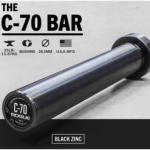 However, in the market there are some competitors that are making barbells with a shaft rating of 200,000 PSI and more, which to my knowledge is a bad marketing strategy as itcosts a lot of money and barely gives elasticity to the barbell. The barbell with such massive tensile strength requires a lot of focus. 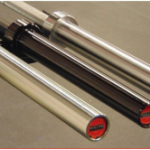 Needle bearing bars are very rare to find with such tensile strengths as needle bearings are expensive in the market and along with such shaft rating it will simply boost up the price of barbell, making it uncomfortable for buyers’ pocket. The range of 180-190k PSI tensile strength is best for Olympic weight lifting and CrossFit. Barbells having a smooth and comfortable whip along with rigidness, are also quite affordable. They are not going to bend or break easily except the ones with 200+ PSI. They offer rigidity if they are not maintained properly, which means bars can’t handle regular wear and tear. The Vulcan Bearing Barbell is shipped in a long, strong tube which looks fresh as it comes right from the mill. However, on different sites people have conflictedover different companies’ shipping that their barbells come in a low grade tube which breaksapart during shipping, and some companies are even shipping seven-foot-long barbell in boxes. Leading them to slide down from the tube gives the barbell scratches, bending or makes them even worse when they are received. The Vulcan Bearing Bar comes with a lifetime warranty as compared to Vulcan One, which had only a warranty of three years. Though, it’s good to have a lifetime warranty with bearing bars and give the user a further satisfaction that this bar is durable enough. Just in your knowledge, IWF brands usually don’t give lifetime warranties and three year life span is also greater for economy bars. The bar is made for men having 20kg weight. Comes with dual knurl marking with a 28.5mm shaft diameter. The sleeves and shafts are coated with black zinc. Have a verified and standard tensile strength of 190,000 PSI. The depth of knurling is moderate, which is done till shoulder and having no center knurl. Have a 50mm sleeve with a 16.25-inch loadable plate length. Consists of four needle bearings per sleeve making them a total of eight bearings in a bar. Comes with snap ring assembly. Provides a good and comfortable whip. 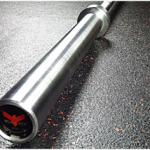 In my opinion, the Vulcan Professional Needle Bearing Bar is one of the best and yet the most affordable barbell. I really enjoy working out on itbecause of its comfortable moderated knurling which is very secure and tight. I can easily lift heavy weights with it and perform a wide variety of exercises like deadlifts, squats and cleans. In the mid of my workout my hands get a bit of sweaty with moisture so at that time the consistent firmness of the knurl breaks down and it becomes difficult for me to lift heavy weights. Secondly, I would like to have a chrome plated version of this exact barbell having same features but different coating. 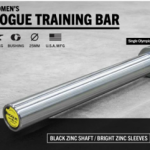 Though chrome will make this barbell a bit more expensive, but it is also going to make this barbell one-time good investment which will cover many years of gym equipment with a lifetime warranty in the bag too. Overall, even in this quality and price the Vulcan Needle Bearing Bar is not a bad investment and is pretty much recommended from my side too. The barbell is very affordable which includes shipping cost too. The whip of the bar is very good, which is very fast during Olympic weight lifting. The knurling done on the barbell is moderate which doesn’t damages your hand and provides a comfortable tight grip during heavy lifts. The Vulcan barbell is very reliable being construction of US steel. The bar comes in good packaging and all the components secured and fresh. The coating of black zinc gets easily scratched off after several uses. 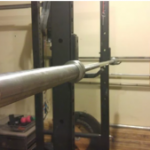 The knurling of the bar should be a bit more aggressive, as professionals do some heavy weight lifting and want knurling to be fully tight and secure. Black zinc oxidizes very quickly in humid environment, hence making the design of the barbell worst.